This is THE ultimate field sales resource, breaking the sales process down into four, easy to understand stages; Earn the right; Ask the appropriate questions; Solve the problem & Execute the solution. 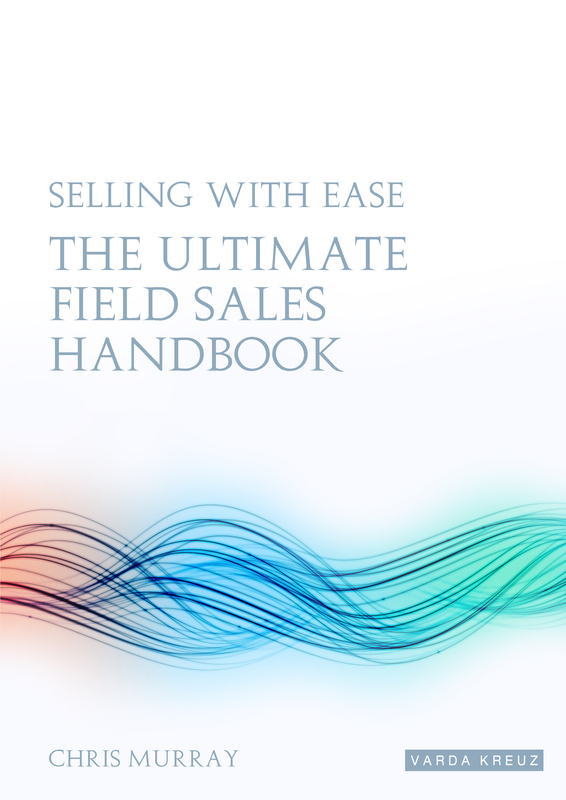 Now updated with even more down to earth, field tested, hit-the-ground-running advice; Selling with EASE – The Ultimate Field Sales Handbook can help you become more effective, more productive, more successful and happier in what you do – FACT. If you are looking for your first sales position, already in a field sales role or a sales manager looking for new ways to focus the team, this book will prove invaluable. When I was a Sales Director looking for sales trainers to improve my team – to give them the great start that I’d had within larger organisations – I wanted someone that completely understood the role of a field sales team and the market in which I operated. One of the main reasons I formed Varda Kreuz Training and the On Trade Sales Academy stemmed from those frustrations and they were reflected in my reasoning for writing this handbook – there simply isn’t enough out there to help field sales people, especially not for the FMCG* side of things. Sure there’s lots of generic work, but nothing for someone stumbling into their first field sales job or looking for a useful refresher. If you have any questions, feel free to contact me on the office line – +44 (0) 844 293 9777 – if I’m around I’ll take the call, if I’m training one of our delightful reception staff will take your details and I’ll call you back as soon as I’m free. You can also e-mail me (ultimatefieldsales@vardakreuztraining.com) with any suggestions for the third edition, your thoughts on this one or just for a general chat regarding field sales team training – either way I’d love to hear from you. I hope you enjoy reading the book as much as I did writing it.